Threadleaf daisy is also knows as threadleaf fleabane, so named in the belief its leaves are a bane, or poison, to fleas. 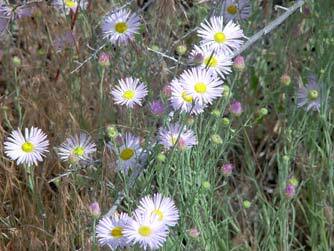 Its genus, Erigeron, is derived from Greek words for old man, and spring. Its stems and long, narrow leaves are covered with greyish hairs that lie flat in the same direction. 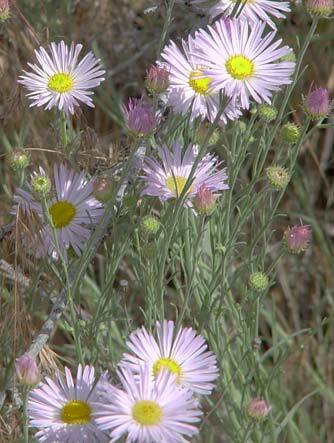 The species is often found among sagebrush in late spring or early summer. 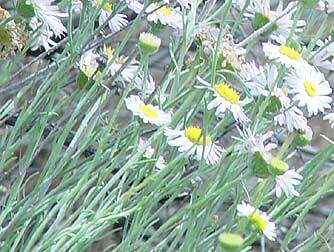 Compare to the related shaggy fleabane.